Has Tom Arnold Gone Benedict Arnold on the Hawkeyes? 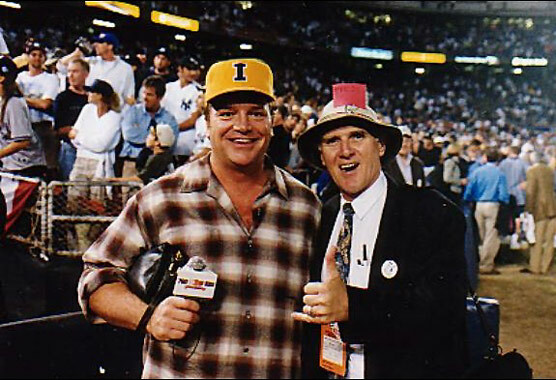 Is Tom Arnold the big Iowa Hawkeyes football fan he has always claimed to be? Arnold used to be sighted at Hawkeye games in Iowa City. He attended at least one Alamo Bowl that featured the Hawks. He trumpted the Hawkeyes on national cable television, brought Fox Sports’ The Best Damn Sports Show Period to Iowa City one Friday before a home football game. But now Arnold is attending football practice at … Alabama? He says his son will one day play football at … Alabama? Let’s face it. This man has always been flaky. He’s a comedian and an actor. They’re neurotics and narcissists rolled into one. They exist for entertainment purposes only. But this one has to hurt Hawkdom. Tom Arnold may not mean anything on Oscar Night, but he’s Iowa’s. Or he used to be, anyway. Oh, one more thing. Arnold doesn’t even have a son. This entry was posted in Uncategorized and tagged Crimson Tide, Hawkeyes, Tom Arnold. Bookmark the permalink. My dad is originally from that area and loves Tom Arnold. Of course, he also likes whittling wood and moonshine. Minnesota Football Coach Tim Brewster is FIRED UP!